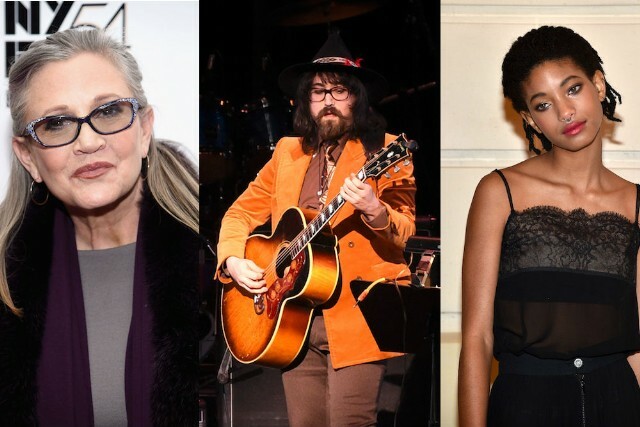 Sean Lennon has shared a new song created with an unlikely-sounding slate of collaborators, as Pitchfork notes: “Bird Song,” released on Soundcloud over the weekend, was penned in collaboration with the late Carrie Fisher, and features backup vocals from Willow Smith. Carrie and I wrote this song years ago. When she died I just felt I had to record it. This is only a demo unmixed, we only had a few hours to record it. But the lyrics she wrote with me I think are marvelous. Carrie and I used to stay up til dawn chatting and pontificating about life. They were my best moments. Anyway… we wrote a song about staying up too late and hearing the birds sing. Willow Smith is a prodigal angel and was generous enough to lend her golden voice to this little tune. In its melody and its twinkling, vocal-heavy arrangement, “Bird Song” might remind you of “Sun King,” one of Lennon’s father’s contributions to the classic medley on side two of Abbey Road. Listen below.